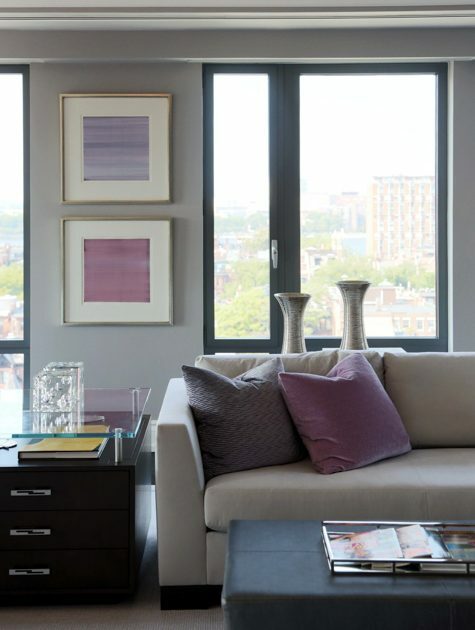 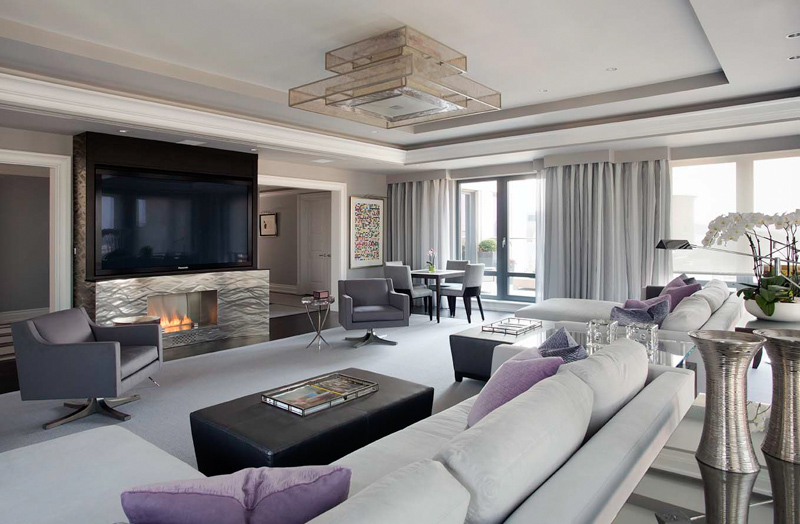 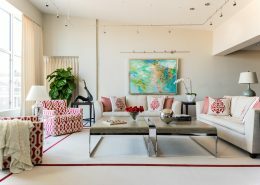 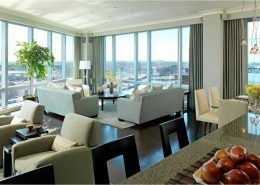 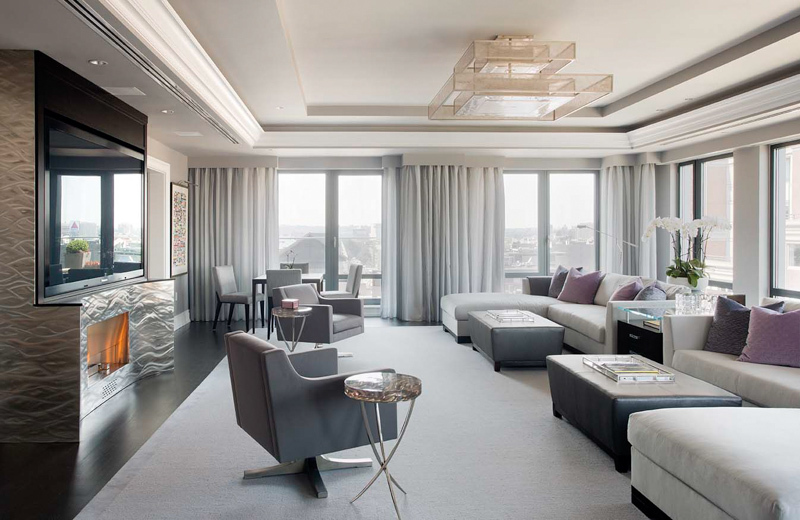 Nearly every inch of this 6100 square foot condominium was gutted and renovated. 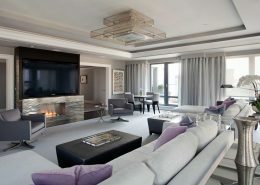 The clients desired a very clean lined and contemporary but highly detailed design. 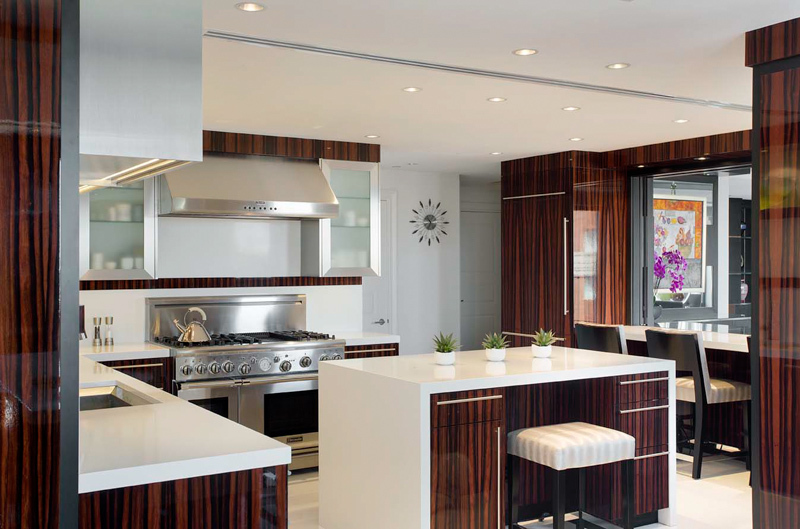 Much effort was put into the details that were employed throughout including the design of custom cabinetry, fireplace surrounds, system upgrades and furnishings. 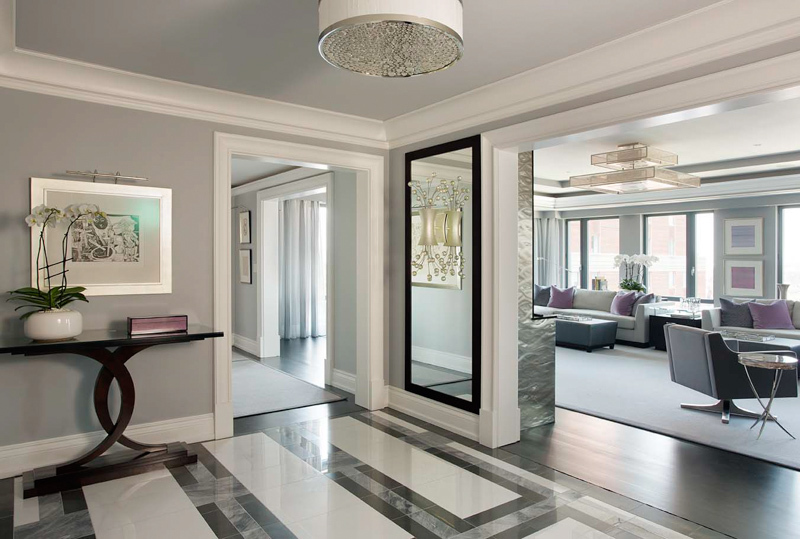 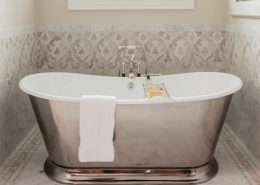 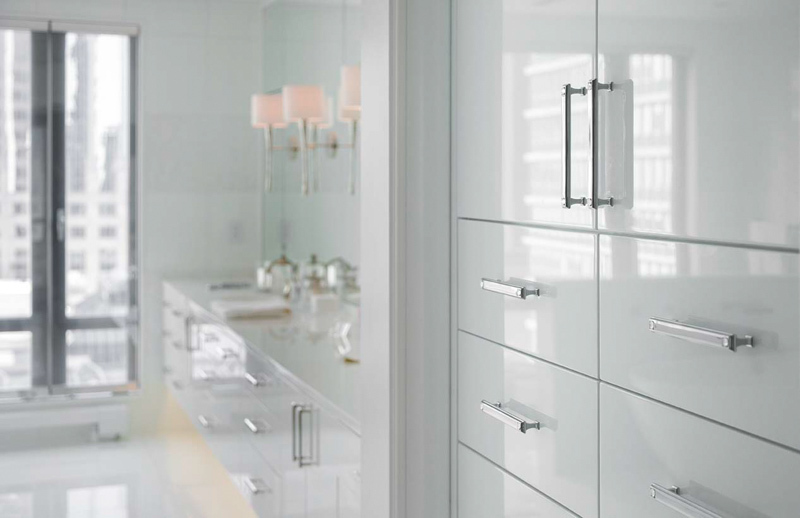 For the redesign of the formal and informal powder rooms as well as the master suite which included two bathrooms and additional spaces, materials and plumbing fixtures were selected; vanities and other details were custom fabricated. 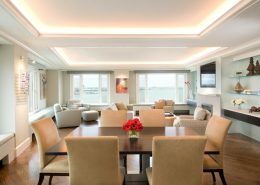 A very detailed lighting design encompassed general and task lighting as well as accent lighting for art and accessory collections. 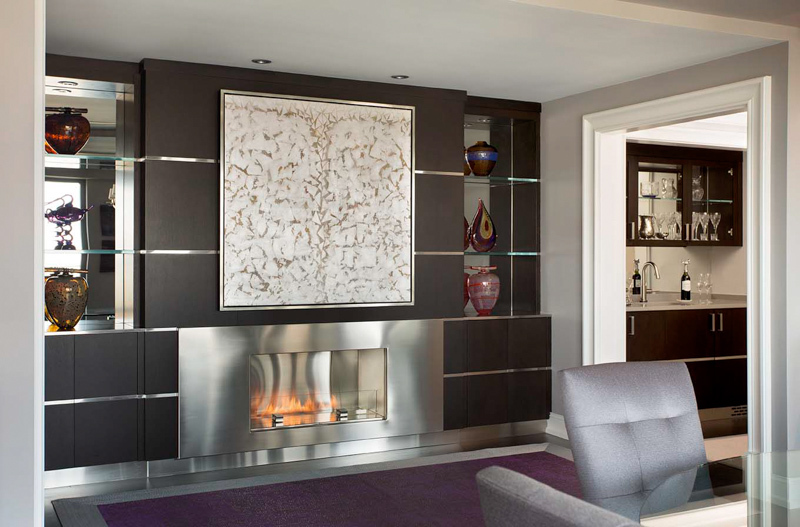 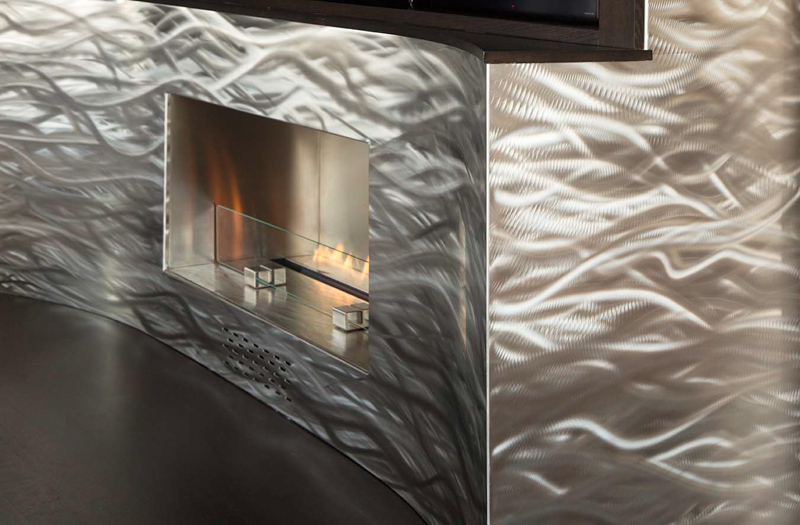 Specialty materials were commissioned throughout including custom area rugs, wall treatments, tile designs and decorative lighting. 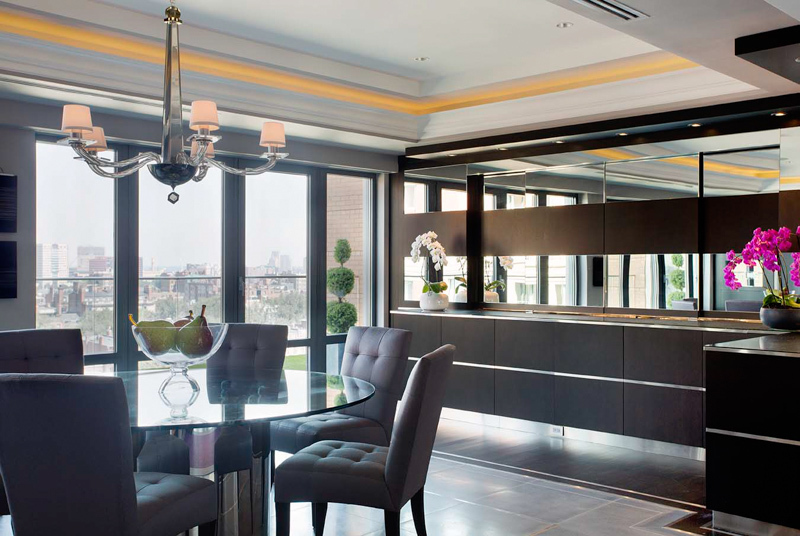 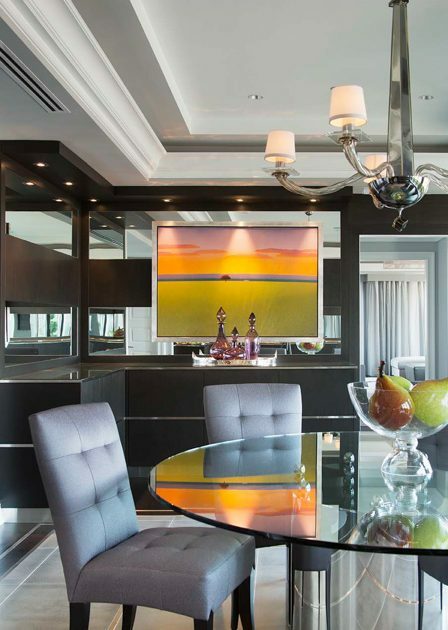 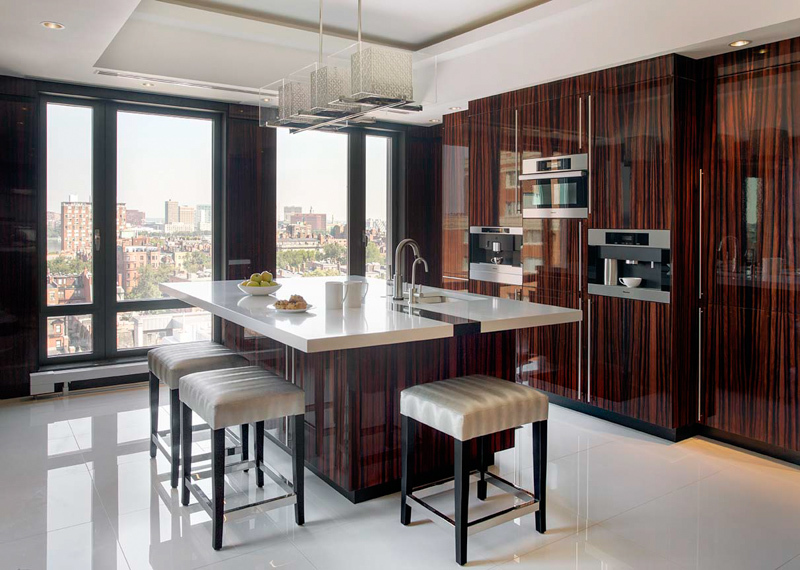 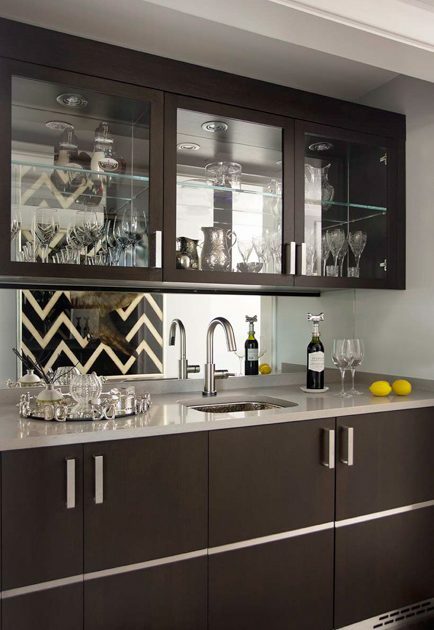 A state of the art kitchen was designed using an incredible macassar ebony wood finish that not only were used for the cabinets but were clad on all of the walls.